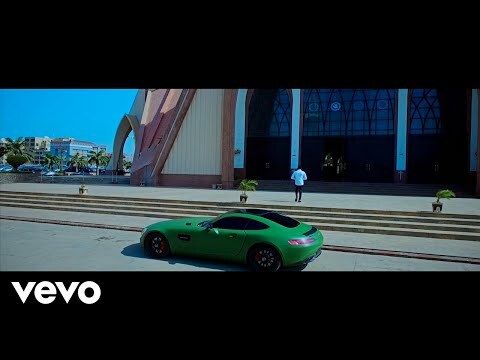 Eja Nla, D’Banj doesn’t seem content with the success of his high-flying “King Don Come” album as he unveils the music video for “As I Dey Go” off that project of musical art. The DB Records Boss sought the direction of the uber-talented Matt Maxx, who shot and directed the music video for “As I Dey Go” on location in Lagos, Nigeria. The flick packs the crispy-fresh and squeaky-clean visuals that makes for a visual beauty. However, it is the message as shared on its audio that D’Banj most importantly sought to connect with the motion picture. “As I Dey Go” is a song of praise, gratitude and appreciation of the Almighty God for the abundance of blessing he enjoys. “As I Dey Go” is also a core AfroBeat record that had blazed the circuit at the time of release, but now it looks like it just got a lifespan extension. It is yet another completed smash for D’Banj whose real name is Oladapo Daniel Oyebanjo. In his prime and alongside Don Jazzy, he dominated the Nigerian music industry like a colossus with such hit songs as “Oliver Twist,” “Fall In Love,” “Mr Endowed,” “Tongolo,” “Olorun Maje,” “Gbono Feli Feli,” “Scape Goat,” and a world of others. However, “As I Dey Go” is the latest grind and you’ve got to get right into the depths of its presentation. Simply stream, download, then share your thoughts and opinion in the comments section below.